Is HTML5 Ready for eLearning Development? 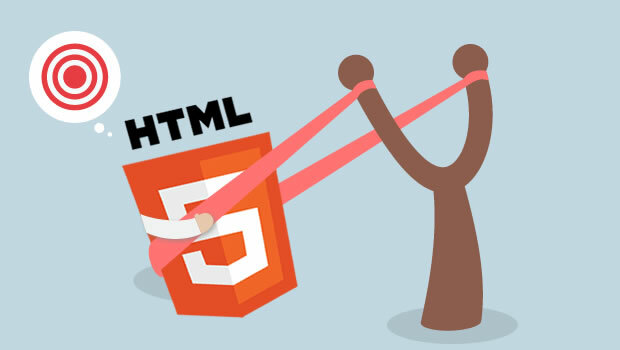 Yes, HTML5 is a major revision over its predecessor HTML4. Some pertinent questions need to be asked. Is it ready for eLearning Development? 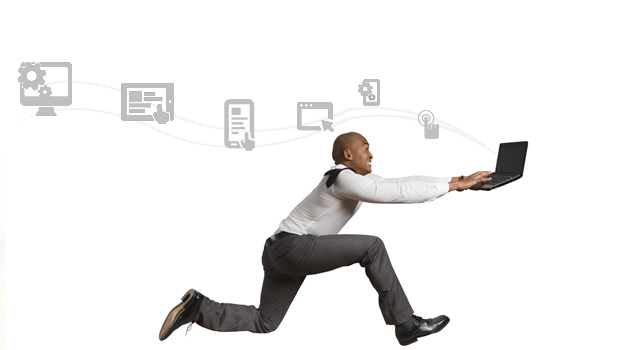 More specifically- Is it ready to compete with Flash for eLearning Development? Browsers Lack HTML5 Full Support – While making HTML5 the de-facto standard Apple seems to have forgotten that none of the web browsers for mobile or desktop have full HTML 5 implementations at this time. Internet Explorer ( IE 6, 7 and 8 ) the most widely used web browsers has no support for HTML5. The new version (IE 9) which is expected to be released sometime in 2011will support HTML5. Check out this website that can test HTML5 support in a browser. What’s really surprising is that even Apple iPad Safari browser doesn’t have full HTML5 support. Cross Platform / Browser Compatibility – Every browser has its own rendering mechanism so an application developed for iPad Safari is not guaranteed to work well in other browsers like IE, Firefox or Chrome. Developers will have to make modifications in code to make it work in different browsers. This is not the case with plugins like Flash or Silverlight where the applications once developed can run on all the browsers without any modifications. I’d think this issue with web browsers will probably remain even after they have all implemented full HTML5 support. Audio/Video Support – HTML5 has added new video and audio tags that can play video/audio in a browser without a plugin but it doesn’t officially support any video or audio format. A few browsers like Firefox support Ogg Theora (an open source format) while others like Safari support H.264 (this is a proprietary format and licensing fee is required to support this format). This Wikipedia article provides more details about HTML5 video support. Content developers who plan to use HTML5 for delivering video or audio content have to spend more time in encoding the videos to Ogg Theora and to H.264 formats so that all major browsers are supported, but this is not sufficient as IE doesn’t support the video tag and would not be able to play the video or audio file without a plug-in. On the other hand, Flash supports FLV/FV4 formats and those are not browser dependent. Also, Flash or Silverlight video/audio supports secure media streaming; there is no clear counterpart for this in HTML5. The use of Video in eLearning is only going to increase, so this is going to be a big issue for developers going forward. Yogesh has vast experience in architecting and developing eLearning frameworks using FLASH- XML and customizing existing frameworks as per client requirements. He has also worked on integrating courseware into various Learning Management Systems, and in ensuring technical compliance with AICC and SCORM standards. As someone who works as a web application developer for an elearning provider who is also an advocate of HTML5, I tend to agree with you here. As you mentioned, the lack of browser support is a huge barrier as many elearning clients are large companies who are quite possibly still using older browsers such as Internet Explorer 6 or some other flavour of Internet Explorer which doesn’t support any of the HTML5 elements, thus rendering any HTML5 related development effort largely a waste of time (and money!). As a Flash developer hearing a lot of talk about HTML5, I’m starting to empathize with doctor’s who walk into their waiting rooms to discover the patients offering each other medical advice. So many blog posts approach the subject with no knowledge of the Flash/Flex framework and component architectures – they really miss the fact that Flash has matured over the years and whilst it may not be perfect (or indeed, controlled by Apple) it has offered the eLearning community with the best chance to deploy eLearning with a consistent look and feel to multiple platforms. HTML5 is very possibly the future … but its got a lot of obstacles standing in the way, lack of tooling, lack of consistency, lack of compatibility and lack of a development community … this all might change, the future tends to do that … but it takes time and logical reasoning. I’m an advocate for HTML5 but agree that its a long way off replacing Flash and I question that will ever really happen. 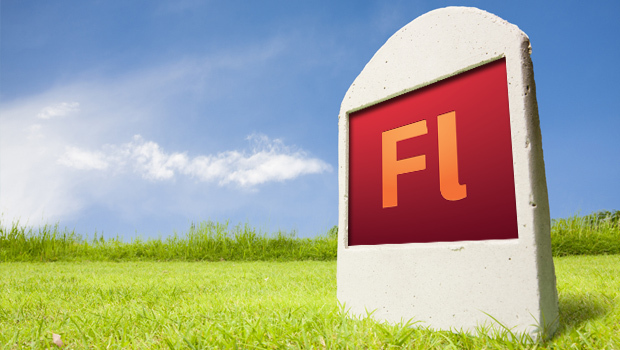 It takes time to iron out the bugs and optimize a software platform and Flash has a huge head start on HTML5. Currently my company Litmos is focussed on delivering video and other content to mobile devices and using HTML5. Our developments are still in the early stages but already we are seeing many quirks with the different browser implementations of HTML5 on various devices. The challenge will be to deliver a consistent and stable experience across all devices that support this standard. I am certainly excited for and eagerly awaiting the release of Flash for Android. This could be a game changer for mobile learning. I have been wrestling with this for a while. I own an eLearning development company and have clients on the Academic and Commercial side of online-education. I also have many peers in the development field that, like me, actually advocate for HTML5. I don’t see however, a benefit to removing FLASH entirely, when HTML5 can not replace 90% of the functionality FLASH delivers to eLearning products. I can see why developers, and consumption-device-producers (like Apple) would push for device specific content delivery. Theoretically, as a developer, I would get paid to deliver content to browsers, and then get paid additionally to deliver to the iPad, and then again to the next platform. However, I don’t think content providers will be willing or able to afford to have their content delivered in all these different formats. 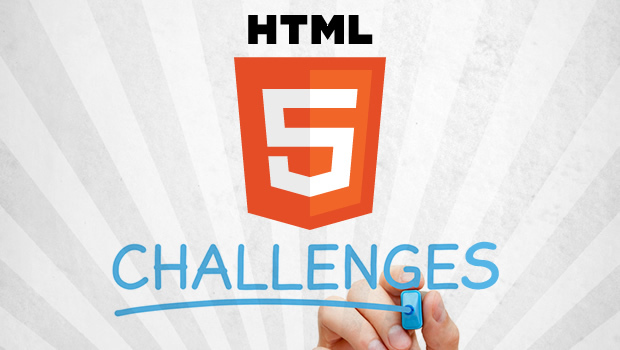 I am seeing HTML5 eLearning delivery as an exciting challenge. And I continue to support its implementation in browsers and by developers, I just don’t recommend ditching a fully-functioning platform for an undeveloped “promise” for the future. After all, eLearning is not a blog, marketing tool or facebook application. eLearning presents a specific set of challenges, that deserve their own considerations for solutions. As a web developer at heart, I’m all for the advancement of web standards including HTML5 but you do bring up some valid points, most notably with the issue of browser-compatibility. Most users, I believe, are going to be consuming eLearning materials over Internet Explorer which is wrought with performance issues and users who are unable or unwilling to upgrade their browsers. And so from an eLearning development standpoint, HTML5 becomes just one more problem we, as developers, have to overcome. I am hopeful that a solution can be found relatively soon because removing Flash’s hold on the eLearning world would be a good thing. At <a href=”www.skillq.com/”>SkillQ</a>, we support the advancement of HTML5 but we don’t see it being a standard for eLearning until the consumers, not the producers, of eLearning develop a taste for it. An element of HTML5 that is often overlooked is that many corporate environments either don’t support of flash or are running older versions. As Ian says many companies also have the browser issue also running through their tech. Quite often during discussion about flash v html5 etc people forget that its not a simple decision for technical teams running thousands of users. Some people might not feel that Flash or many technical solutions support elearning, its about understand your technical challenges, learning challenges and then choosing your platform and not trying to pick the platform first and then trying to get the solution to work. I also agree to your post as a flash developer. In my opinion, HTML5 seems be used widely in mobile environment but it is not be better than flash. And I also heard a news that Google and Adobe are collaborating with an Application to convert swf to HTML5. CM Group’s Luminosity Studio rapid eLearning authoring toolkit fully supports HTML5 eLearning output. It’s fast and easy to learn so may be worth checking out. They also do Luminosity Lightshow an HTML5 based software application simulation tool which is low cost and produces good results. I have been working on a project for 6 months to develop code and templates that would bring the same interactivity that we do in flash on the iPad. It is a shame that Apple couldn’t open the doors for flash on iOS and allow adobe and flash developers to write efficient code and products. An element of HTML5 that is often overlooked is that many corporate environments either don’t support of flash or are running older versions. any one can tell that how to find HTML5?